We are glad to inform you of the eighth series of Special Lectures in the current academic year 2018-19. Sri Umamaheshwara N., a research scholar in Vyakarana Department, Rajiv Gandhi Campus, Rashtriya Sanskrit Sansthan, Sringeri will give classes on communicative skills in Sanskrit language with special reference to the usage of cardinal and ordinal numbers, and tenses. Sri Umamaheshwara, an upcoming scholar in pāṇinīya vyākaraṇa, has a master’s degree in Sanskrit grammar from Rashtriya Sanskrit Sansthan, Sringeri, and is currently pursuing research there in vācoyukti (idioms). Title of his Ph.D thesis is ससस्ककतरूपकस्थथानथास वथाचचोयकक्तीनथास व्यथाकरणदृशथा ववमश य रर्शः। (A Grammatical Analysis Of Idiomatic Expressions in Sanskrit Plays). 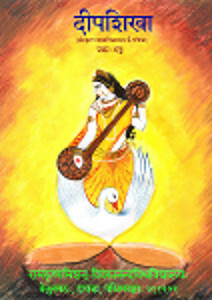 He is endowed with ability to compose verses impromptu and perform aṣṭāvadhāna. Department of Sanskrit Studies at RKMVERI, Belur Math heartily welcomes the young and gifted scholar. Lectures and presentations are designed for under graduate students (especially 1st and 2nd year) and are open to all who are interested to learn Sanskrit. We heartily welcome one and all to attend these lectures.